Welcome to LV Premier Chiado Apartments – CH2, a spacious 3BR/2BR apartment and one of our most sought after properties. 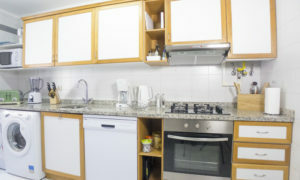 Located in a building with 9 premium apartments by LV Premier and two elevators, it is popular with large groups and families. 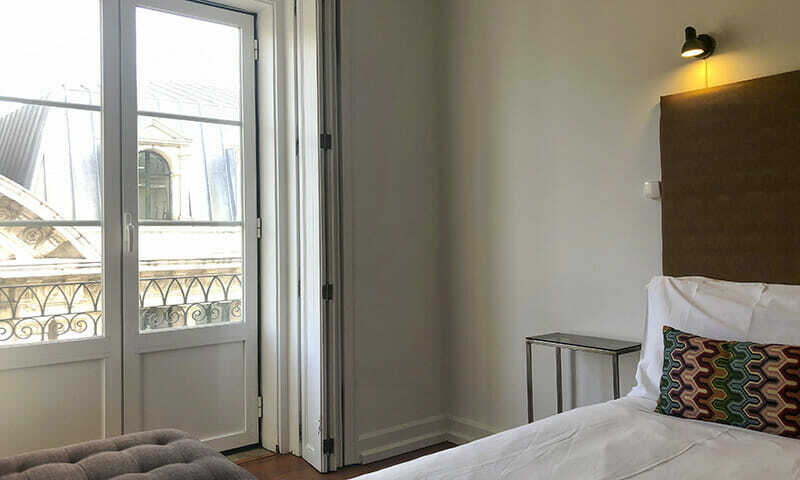 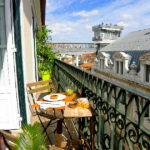 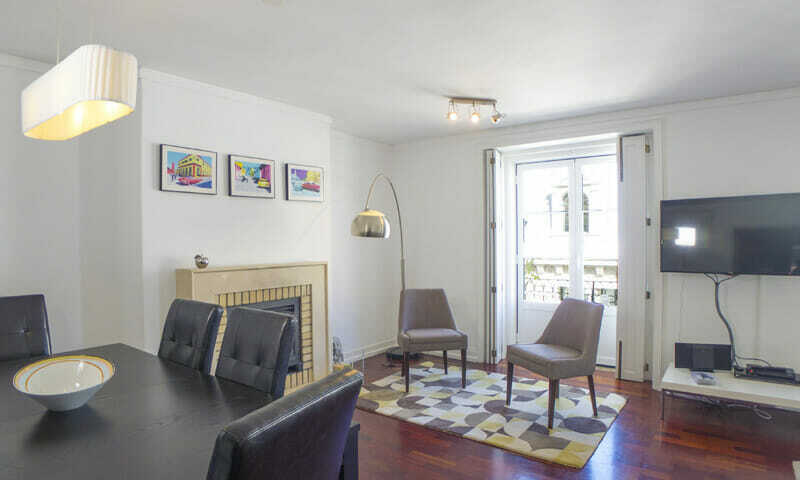 The apartment features a long balcony overlooking Armazéns do Chiado, elevador de Santa Justa and of course lively Rua do Carmo. 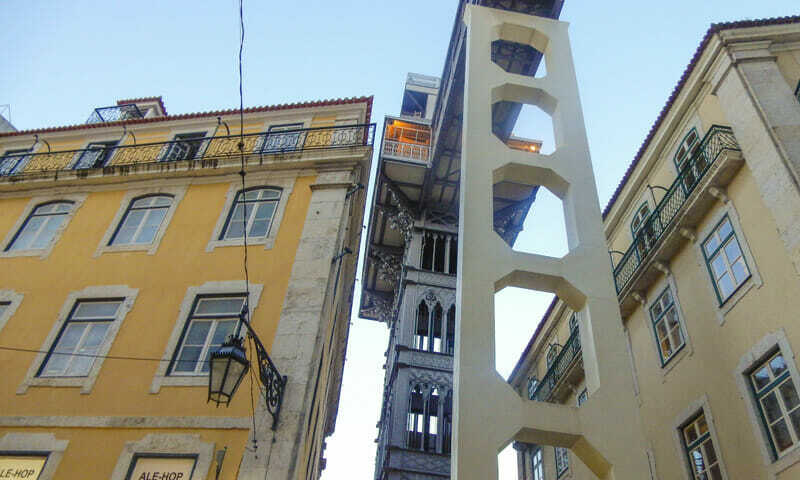 Convento do Carmo Museum is minutes away using the gardens of Carmo staircase behind the building. This is a truly central location with all amenities, attractions, restaurants and shops at your doorstep. 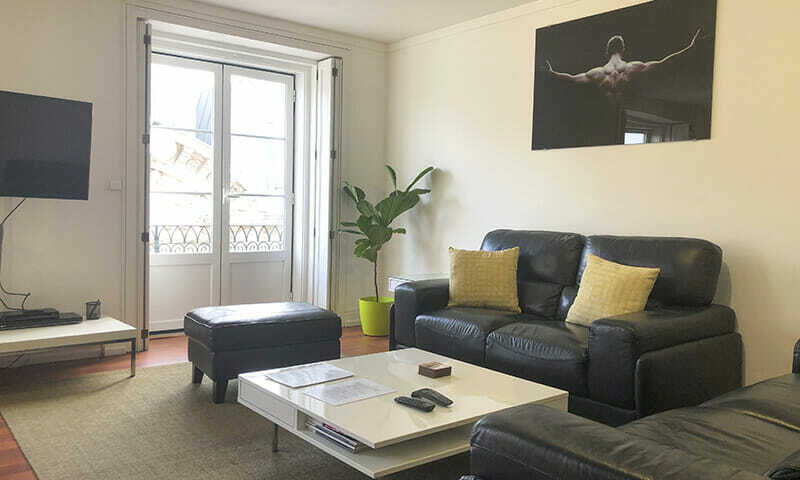 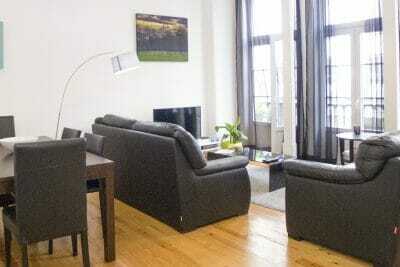 The apartment features AC, modern interiors and double-glazing windows. 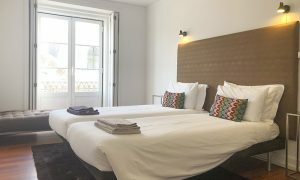 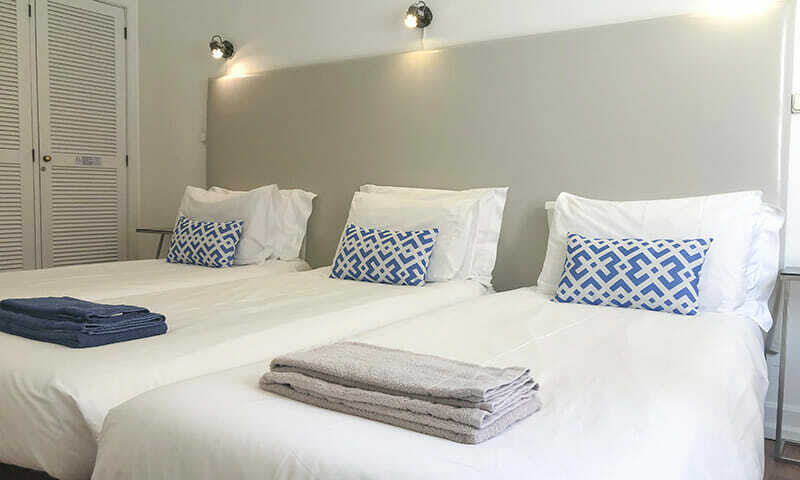 LV Premier Chiado Apartments – CH2 can accommodate 8 people in the bedrooms and a maximum of 2 extra guests in the sofa or folding beds. 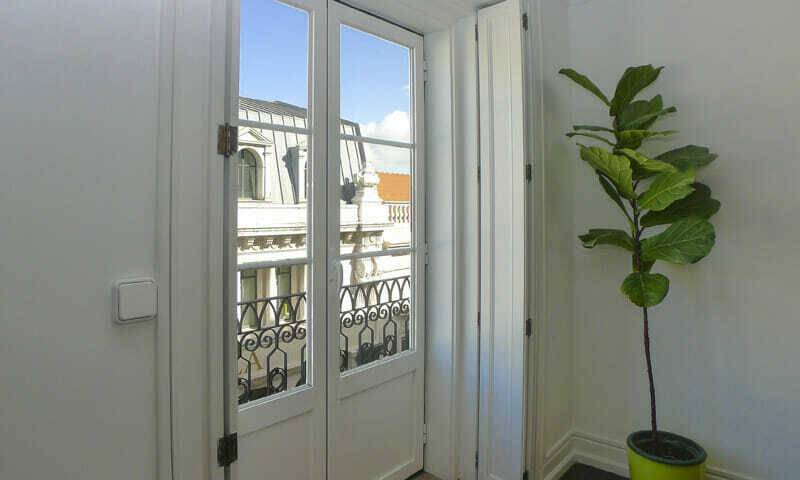 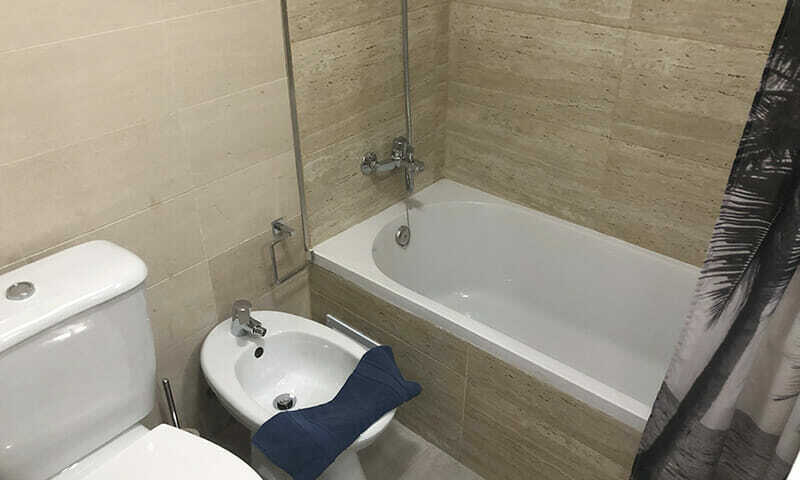 LV Premier Chiado Apartments CH2 is a spacious 3BR apartment (1 double and 2 triple bedrooms) and a long balcony with access to the living room and one of the bedrooms. 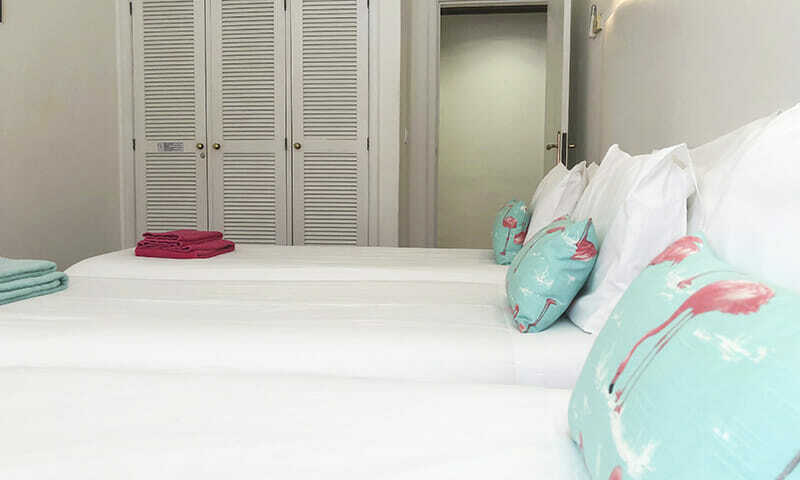 The vacation rental features our LV Premier bed, comfortable new mattresses, crispy linen and soft comforters. 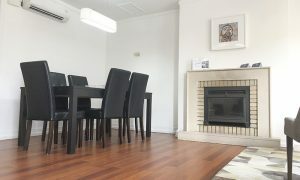 The living room has balcony access, a dinning area and a fireplace. 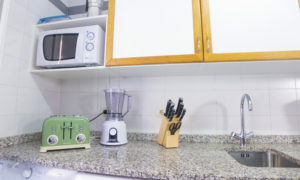 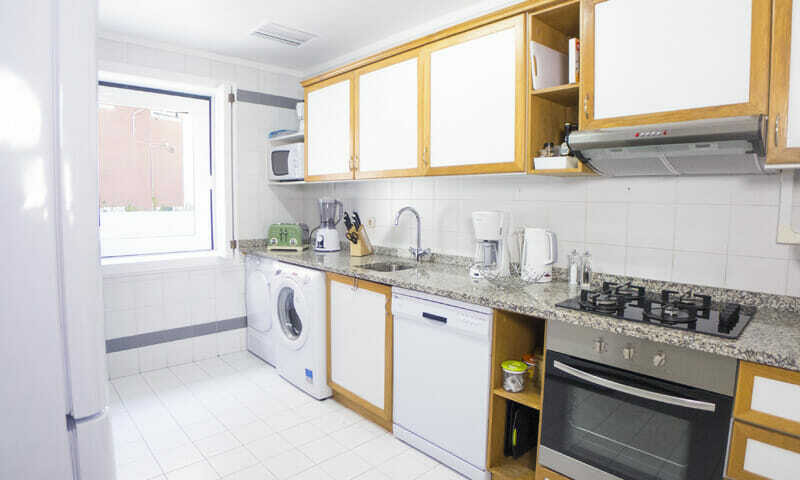 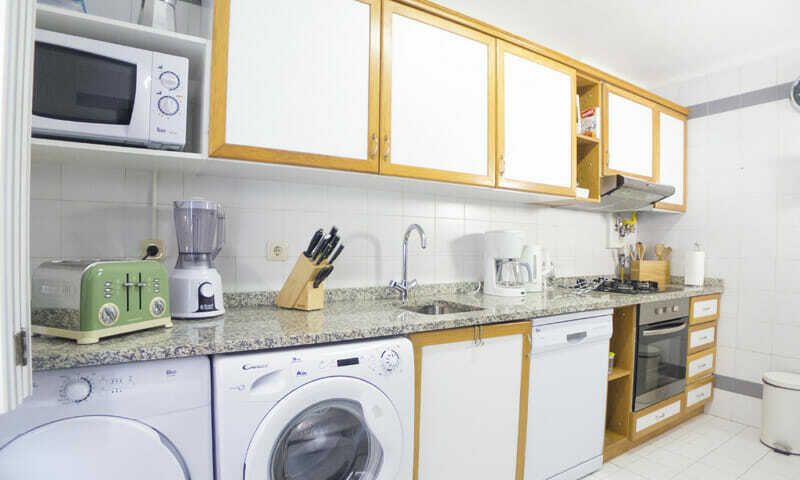 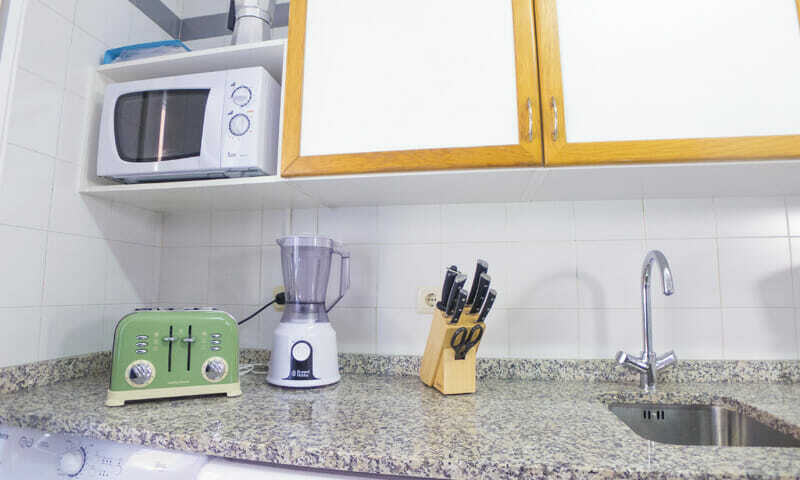 The apartment also features a spacious kitchen, which is of course fully equipped. Both bathrooms have a bathtub and shower head. 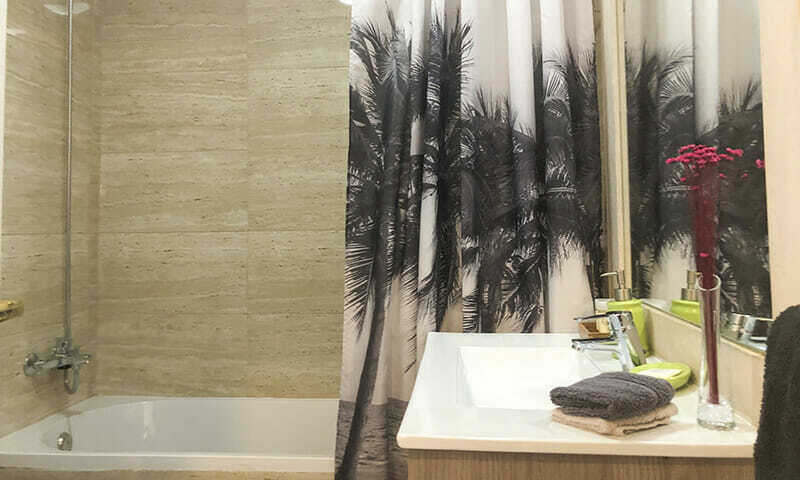 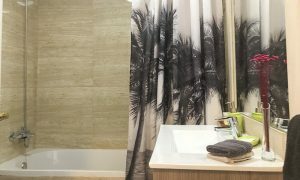 LV Premier includes as a standard soft bath towels, and fine toiletries for your first day. 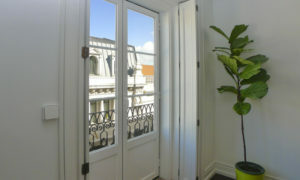 The CH building has a beautiful traditional facade but was fully rebuilt recently. 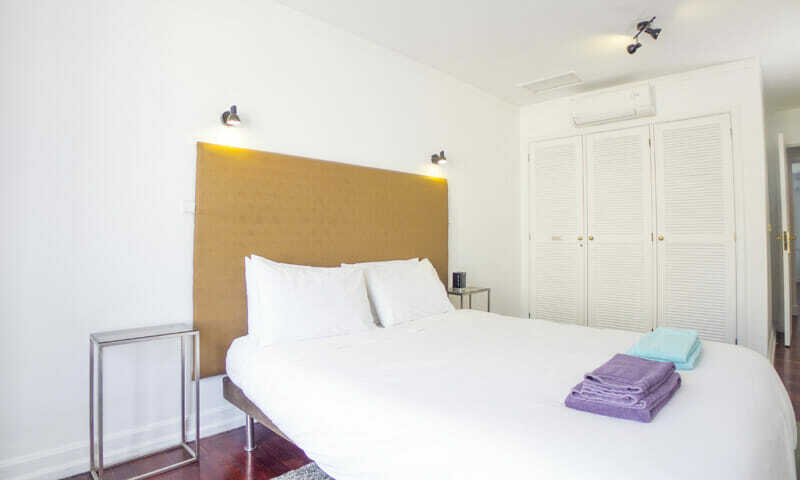 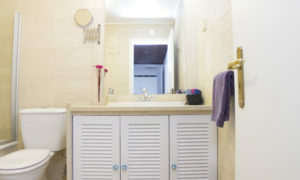 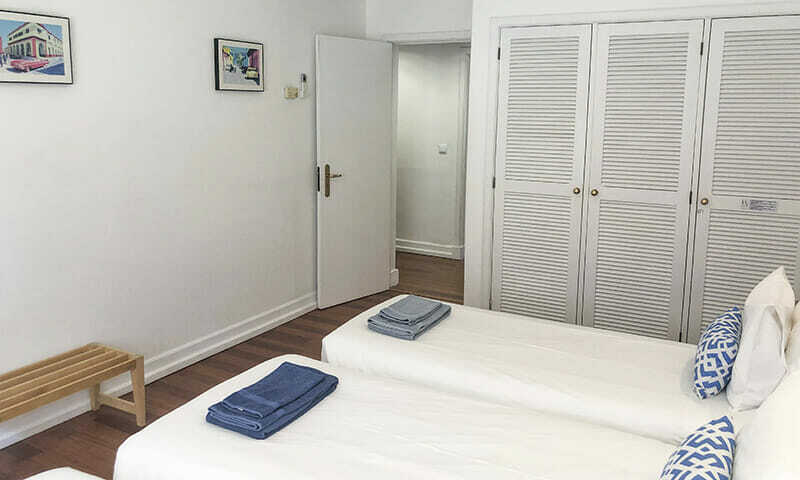 The apartment has AC and heating and is furnished with contemporary decor and a neutral palette. 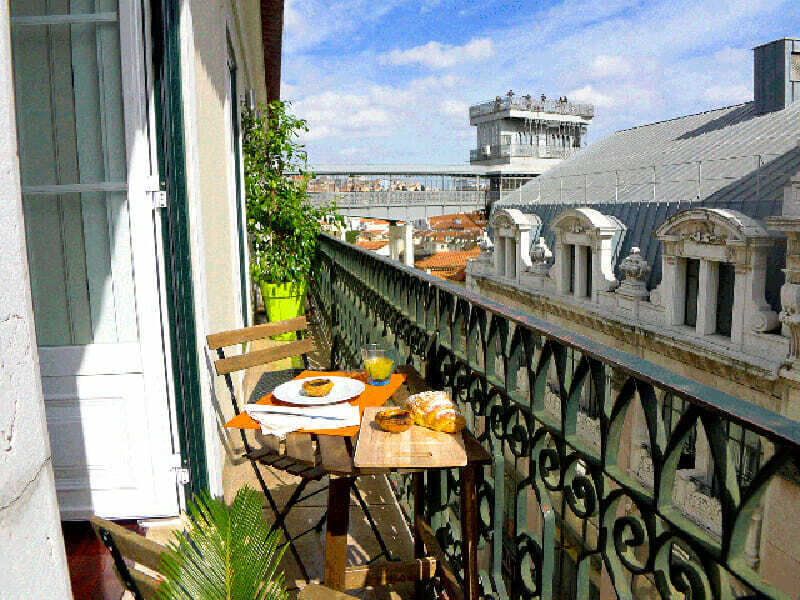 Chiado is the instantly recognizable neighborhood in Lisbon. 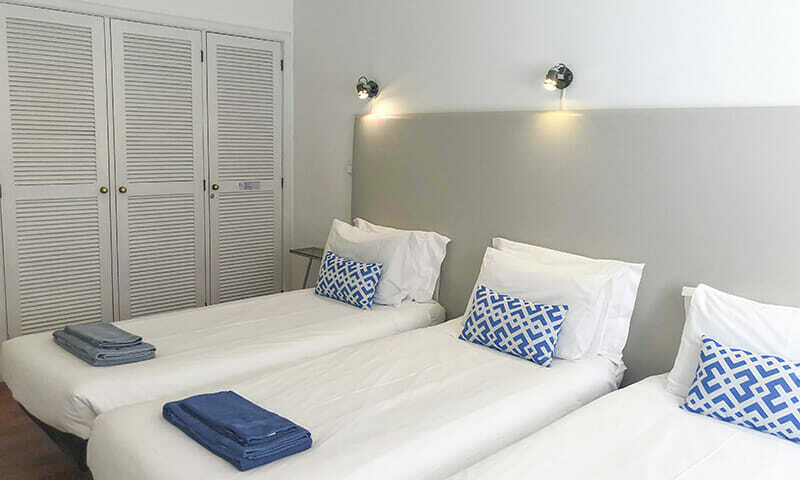 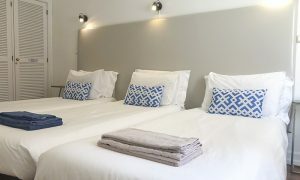 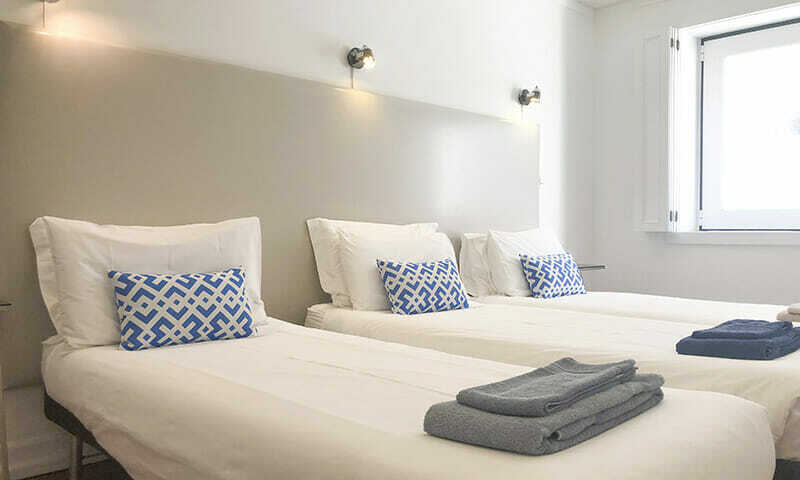 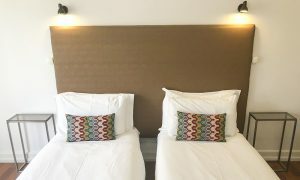 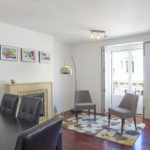 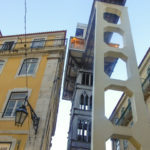 Rua do Carmo was mostly destroyed by a large fire in 1988 and has since been fully rebuilt respecting traditional facades, yet with fully modern interiors. 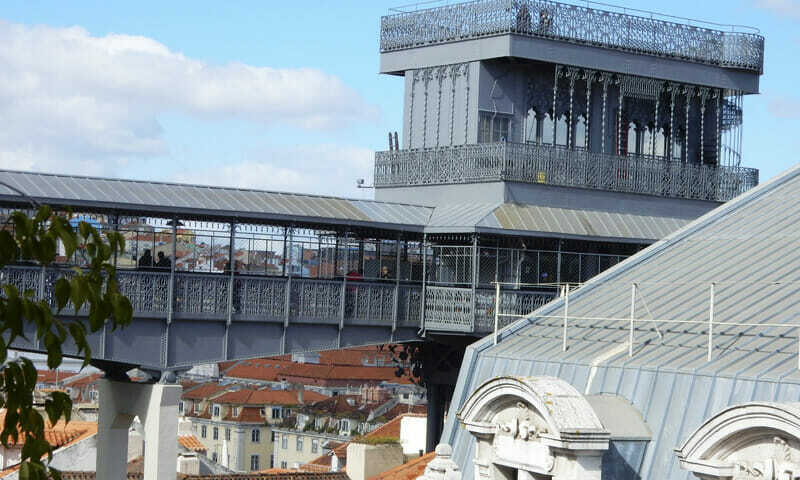 It is now the premium city center shopping and restaurant neighborhood. 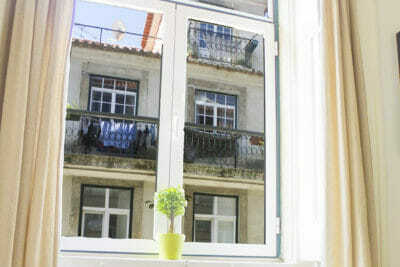 We are also minutes away from Bairro Alto, where you can find lots of bars, restaurants and independent stores. 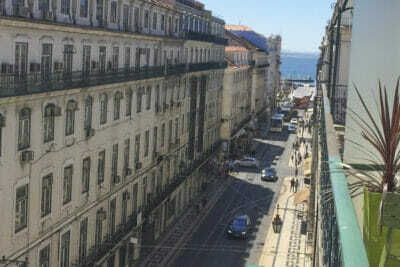 Chiado features great transportation links (3 metro stations with 5 min walk from the apartment, buses, taxis etc). 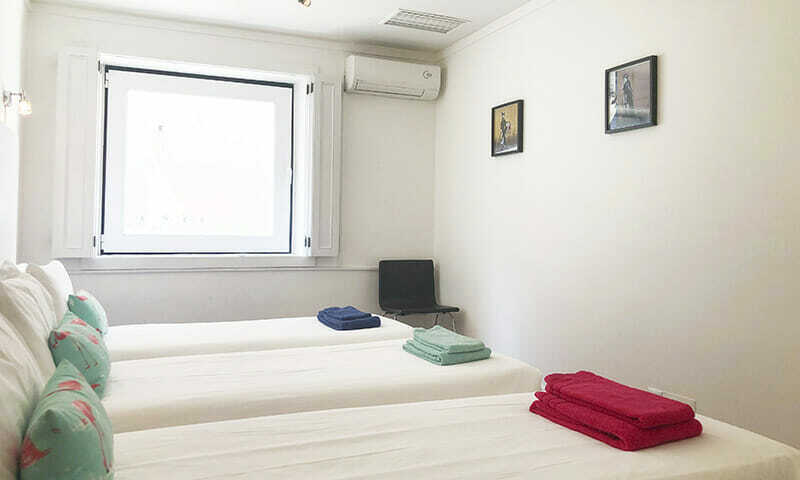 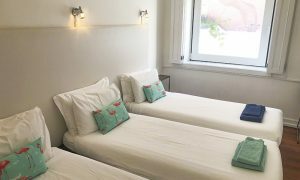 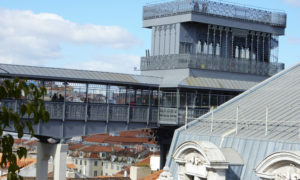 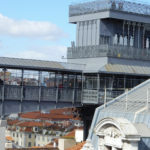 Most of the attractions are reachable on foot – Praça da Figueira, Comércio and Rossio, and the traditional neighborhoods of Bairro Alto and Alfama.